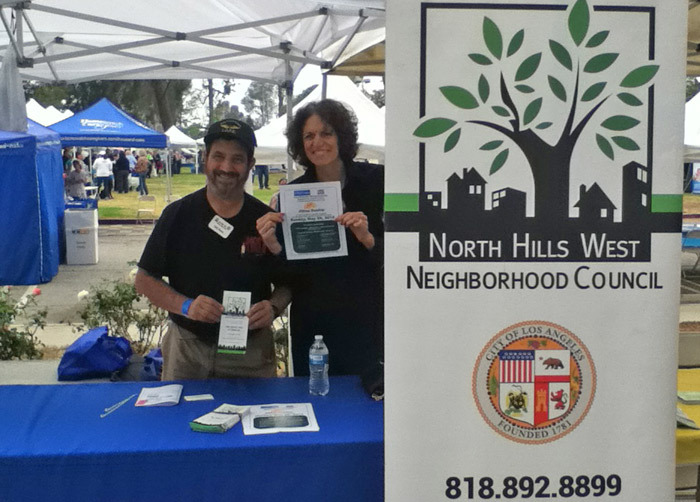 North Hills West Neighborhood Council supports lots of local community events providing resources to our community and inviting stakeholders to get involved. 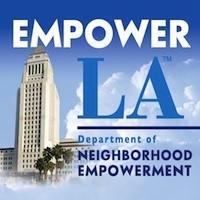 In May 2018 we sponsored lunch at the Senior Symposium in Reseda and were on hand to greet stakeholders. 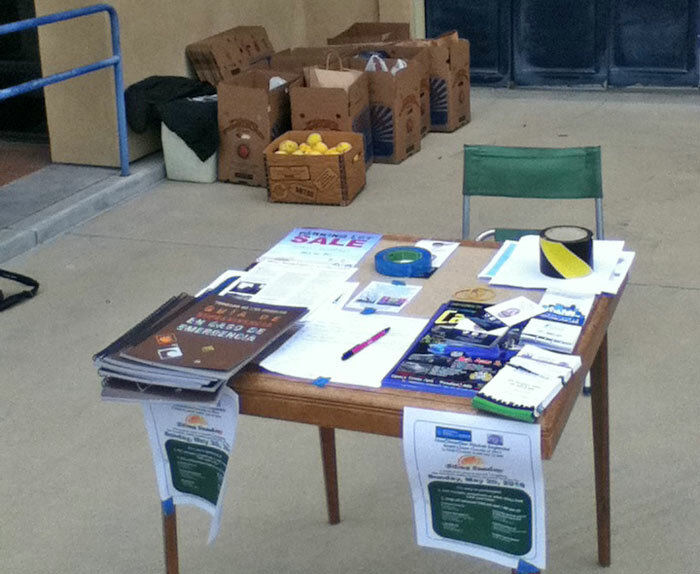 NHWNC Board Members Dave Brown and David Hyman also were on hand to greet people donating citrus on Citrus Sunday and offer them emergency preparedness guides. 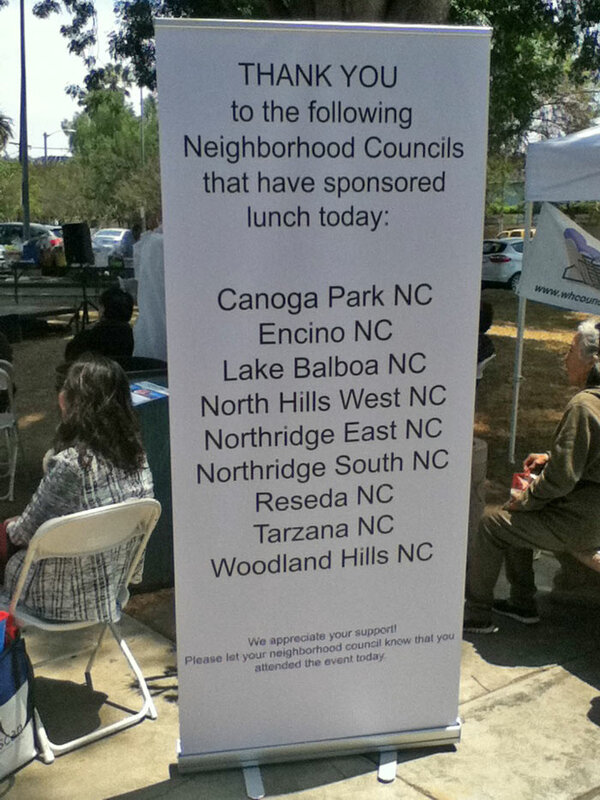 Thank you to NHWNC Board Member David Hyman for sending in photos.